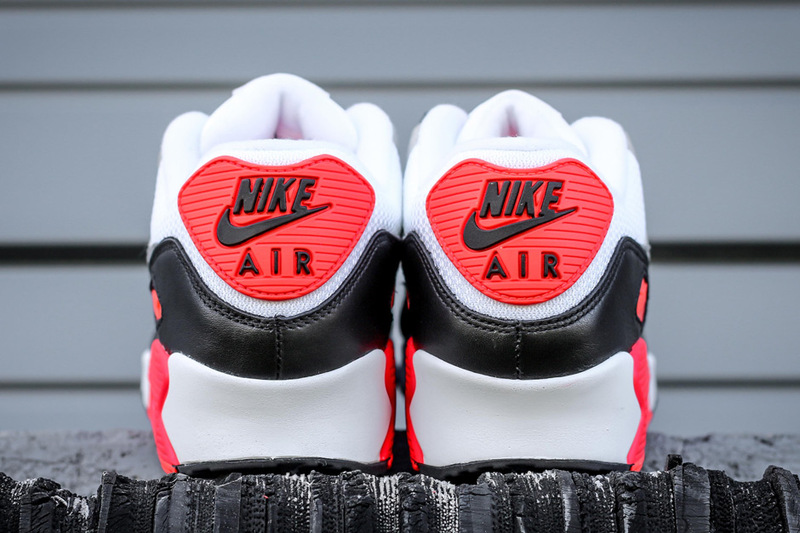 The wait for the Infrared 90s is almost over. 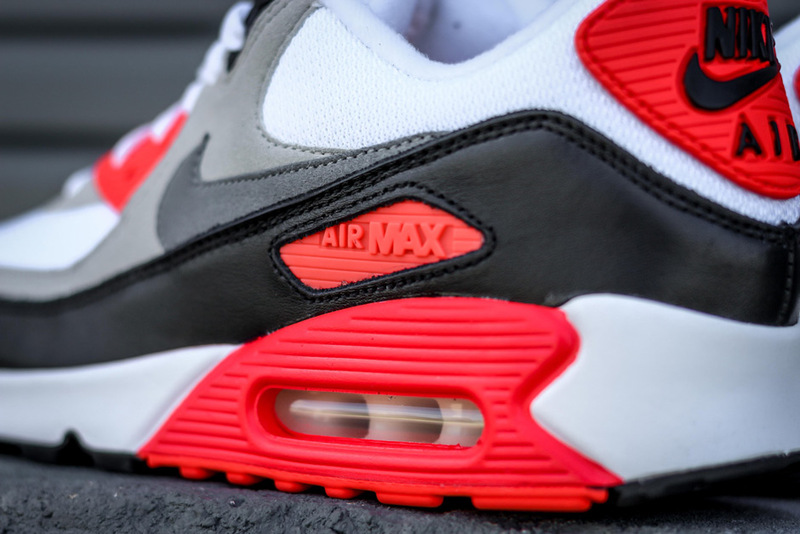 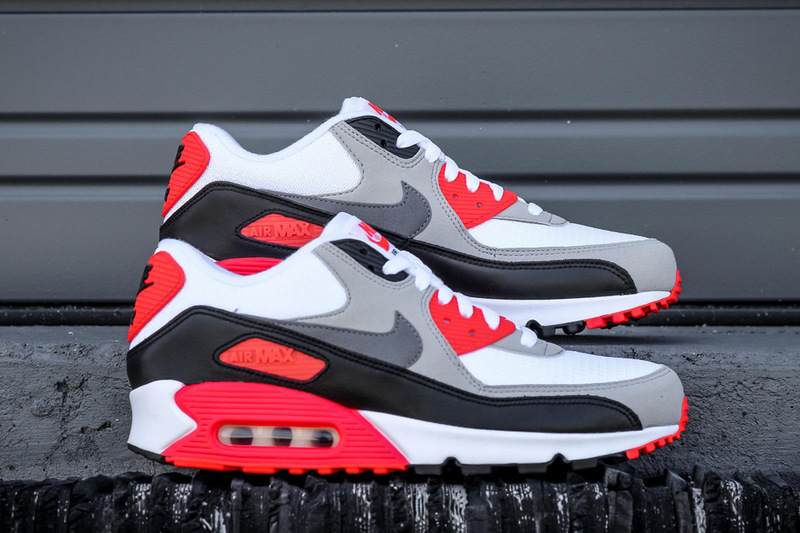 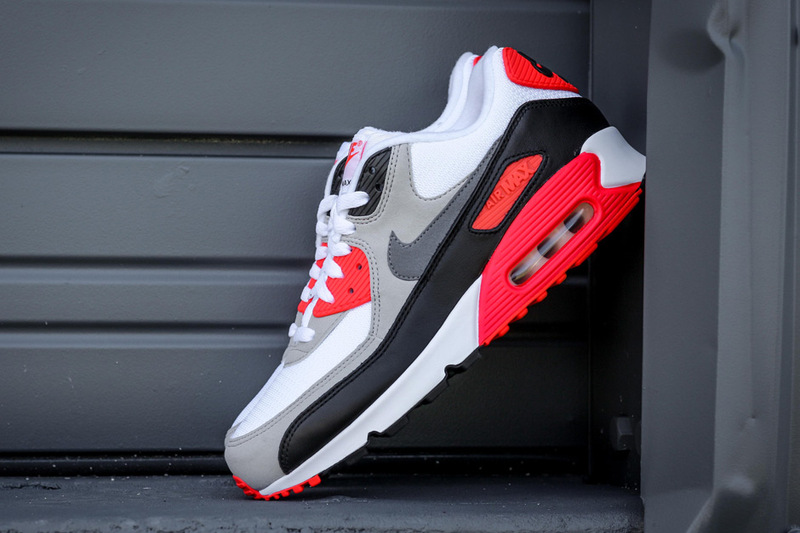 The Nike Air Max 90 “Infrared” arrives tomorrow, May 28th. 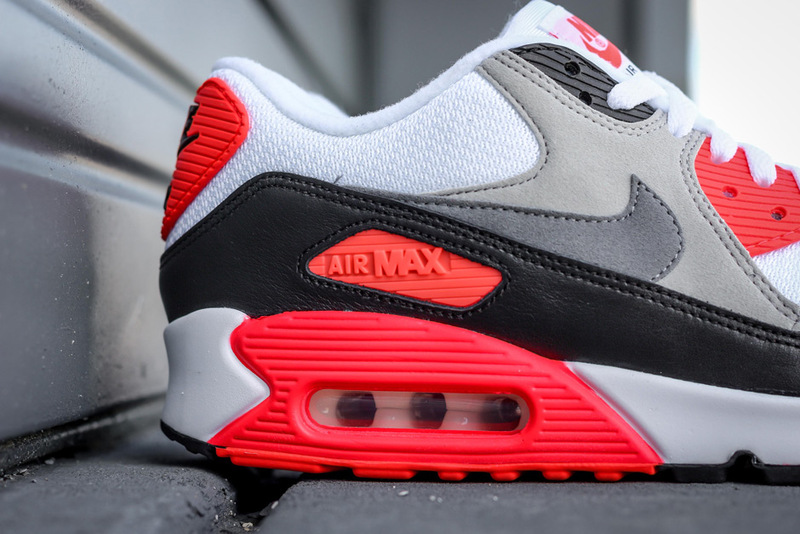 In accordance with this classic retro runner’s 25th anniversary, Nike is bringing us one of the most iconic colorways in its running history once again. 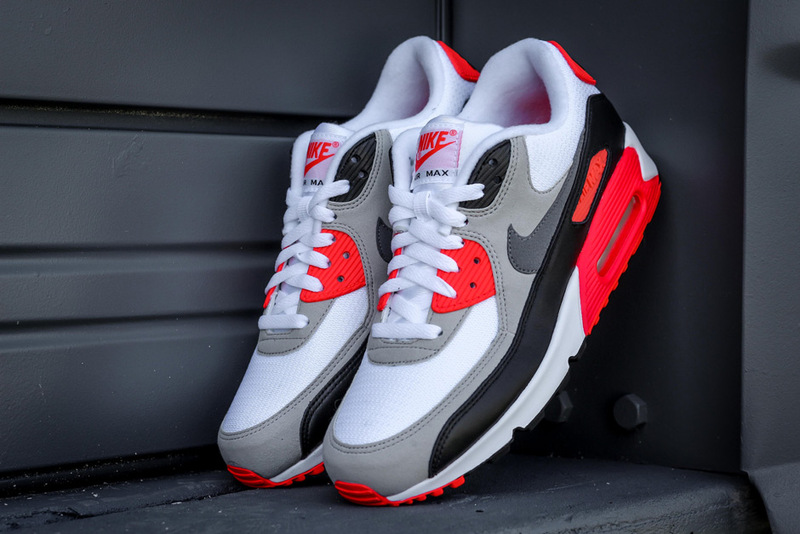 This shoe has retroed countless times in its two decade and a half history, and here we see the traditional tooling in white mesh, synthetic black leather and muted grey overlays to truly allow for that Infrared shade to demand attention. 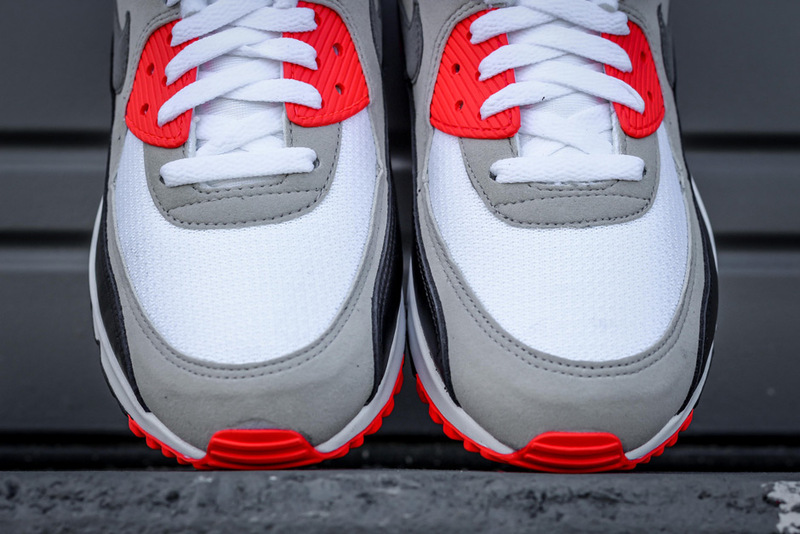 Stick around for one last look at this Air Max 90 before you can actually get your hands on this retro and be sure to see if you can reserve your size on eBay.